Another scrap from the high school journals. Self-portrait of 17-year-old me ca. 1981. 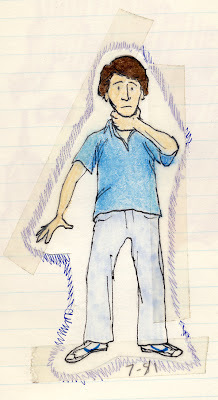 This entry was posted in 1980s, journal, self-portrait. Bookmark the permalink.